 Superior design, superlative performance and professional support. 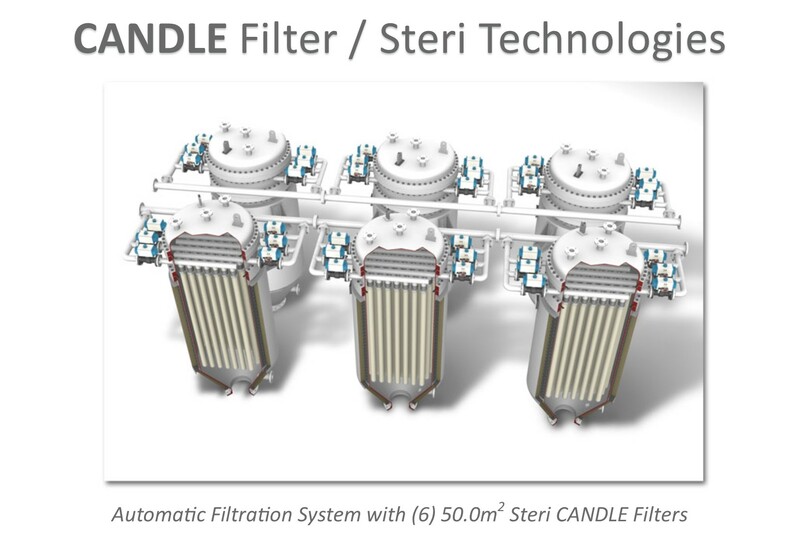 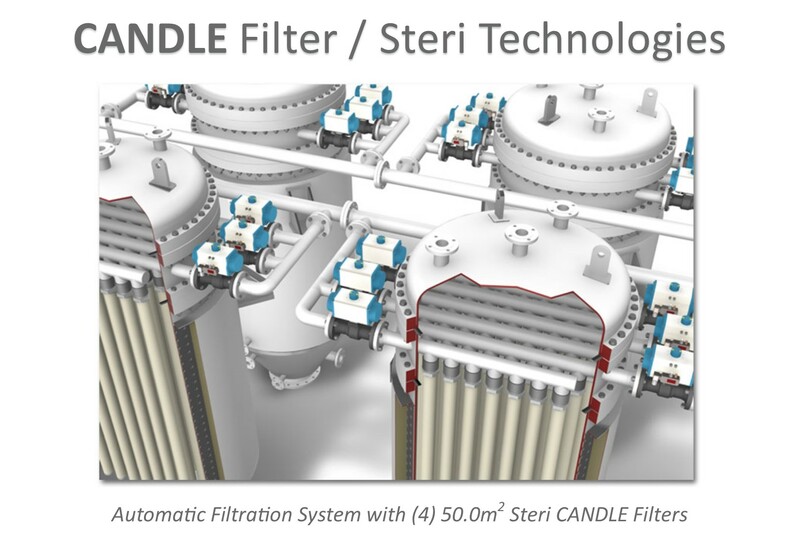 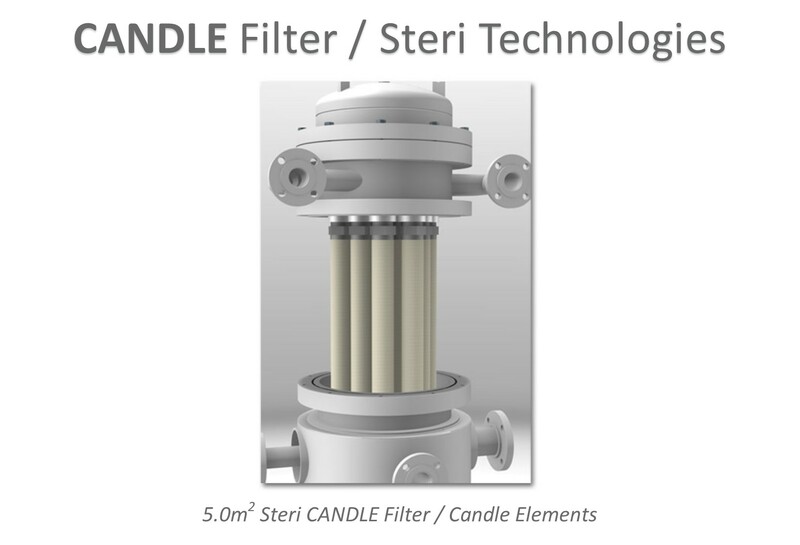 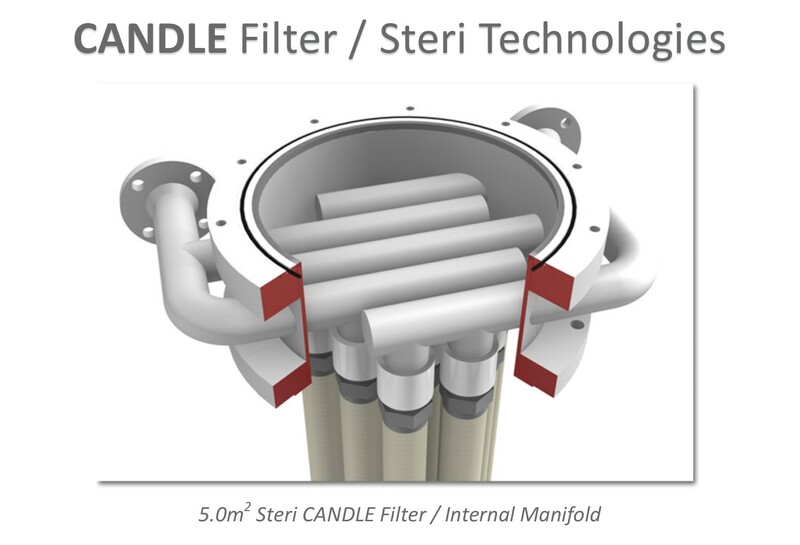 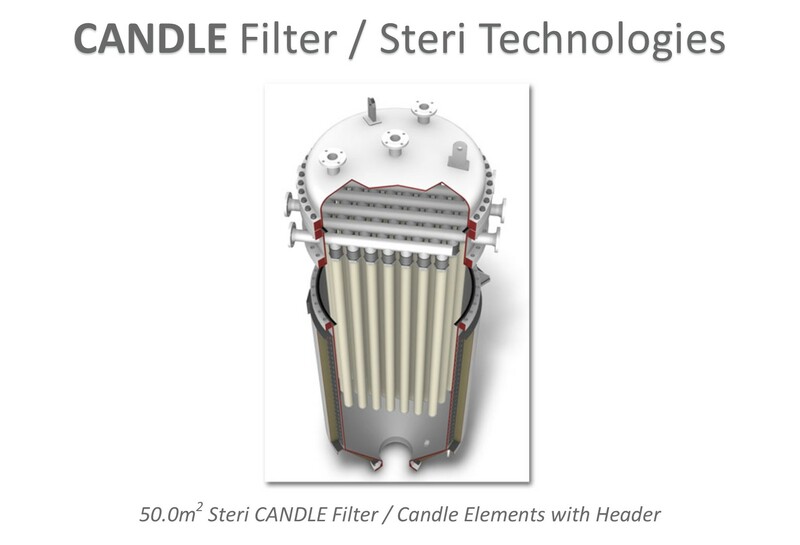 Steri CANDLE filters are designed as a totally enclosed system for the removal of solids as small as 0.2 micron. 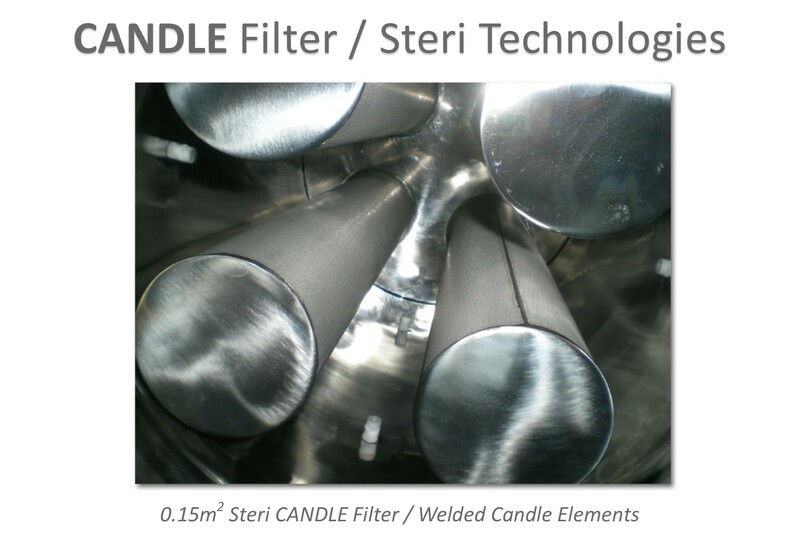 These back-pulse filters are ideal for polishing liquids to meet stringent requirements. 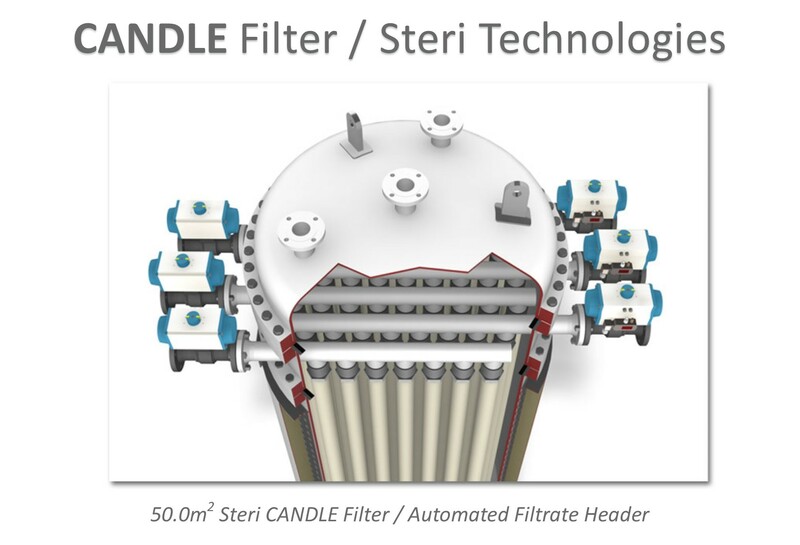 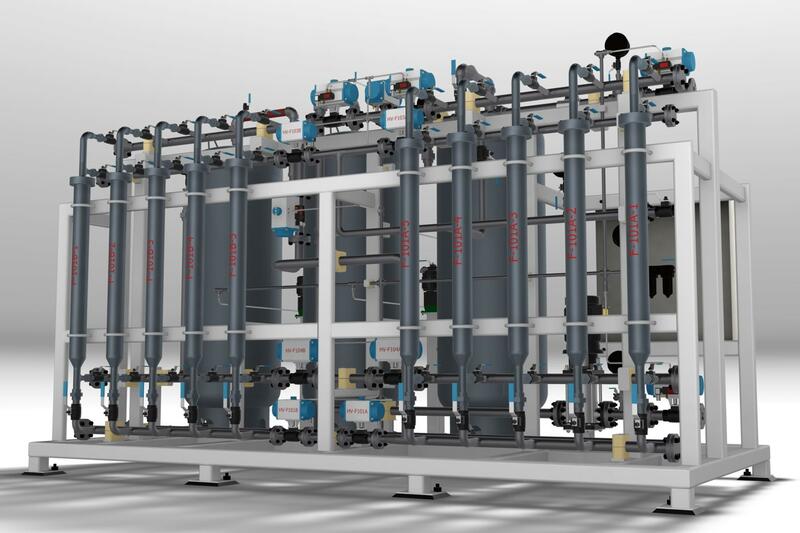 Due to its simplicity, these CANDLE polishing filters serve a wide variety of applications. 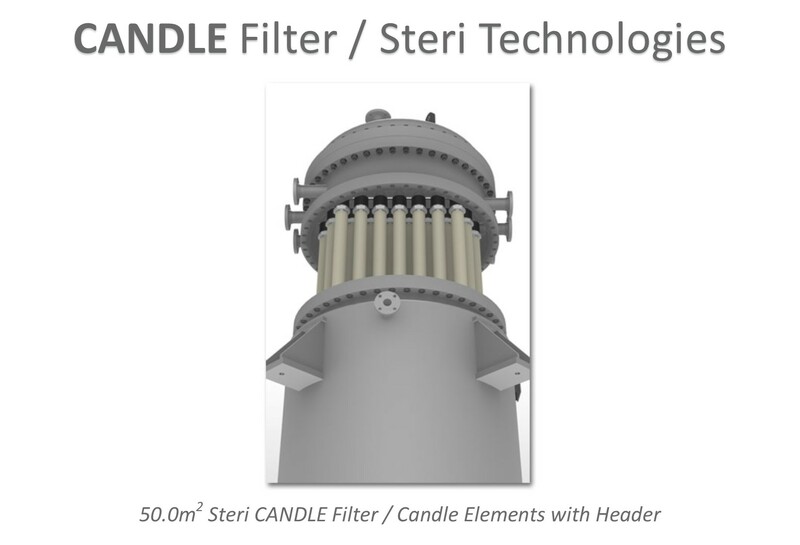 Based on specific needs, the elements can be of porous sintered metal construction, multi-layer media or candles installed with fabric filter cloth. 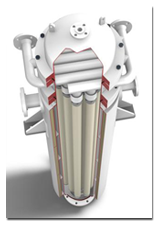 Solids are removed from the slurry by traditional outside-in filtration. 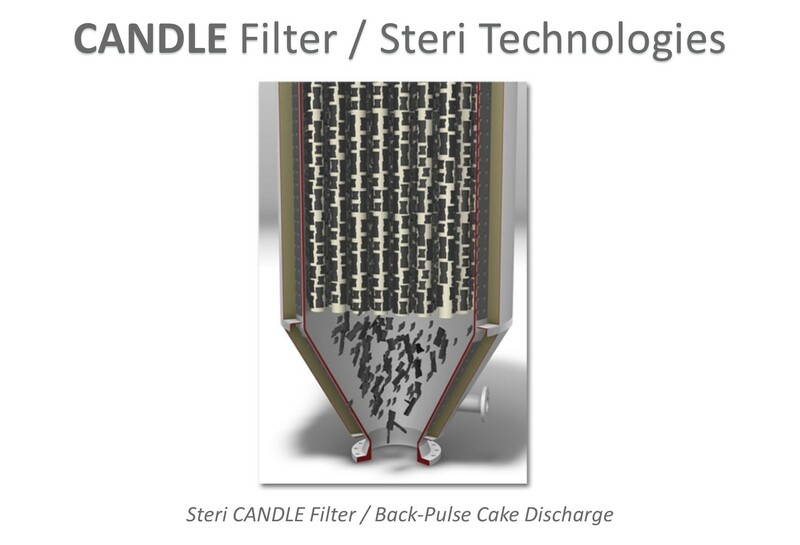 Discharging of the cake is by the back-pulse method utilizing gas or a suitable liquid. 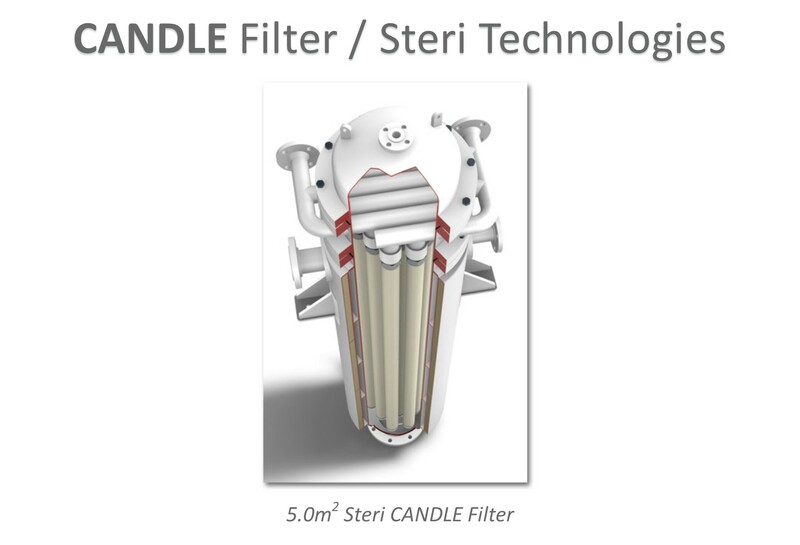 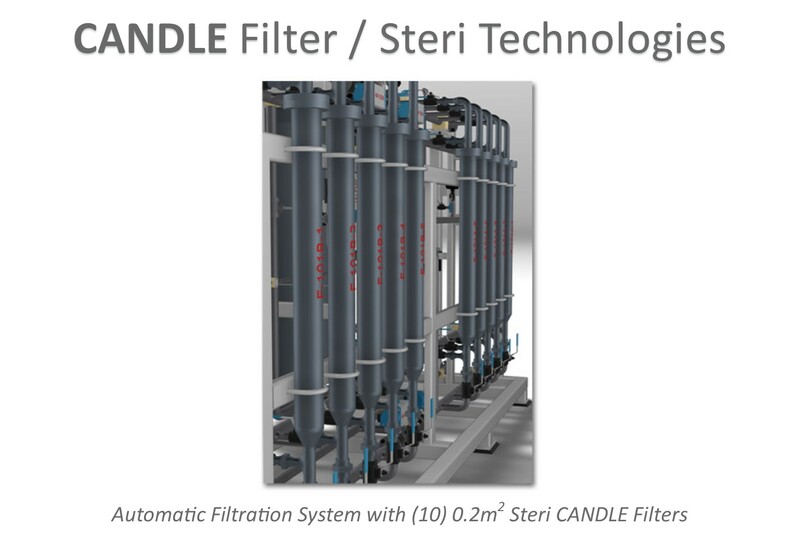 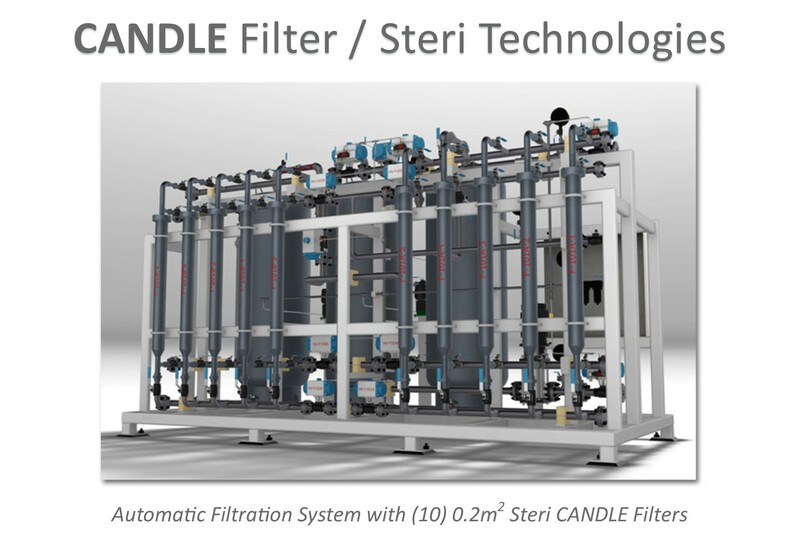 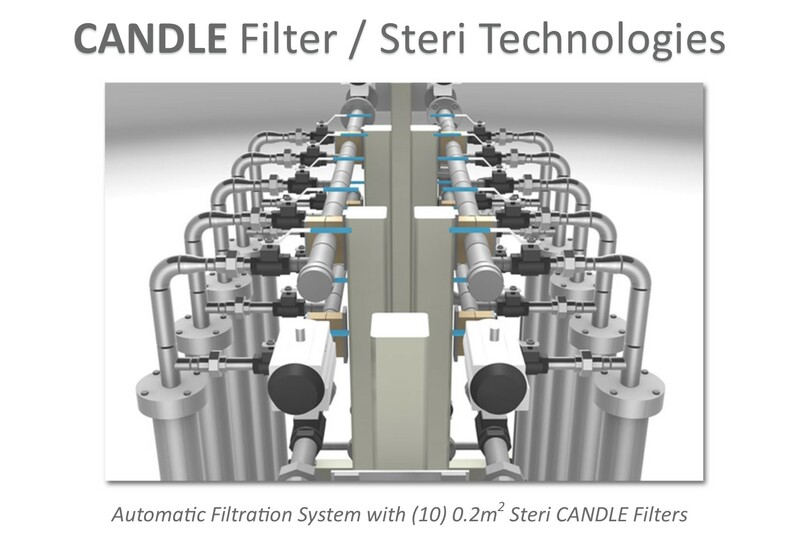 Manufactured in the United States of America by Steri Technologies, Steri CANDLE filters combine superior design with a program of total support that makes filtration easy from every perspective.